Although the young star Karan Brar has only been in the movie and TV show industry for not so long a time. He has gradually warmed his ways into the hearts of millions of fans all over the world with his excellent artistic displays in Jessi and Diary of the Wimpy Kid. Read on to learn more about his movie roles and family facts. The Indian-American actor was born in Redmond, Washington, in the United States of America on the 18th day of January 1999 to Indian parents; Jasbinder and Harinder Brar. He was not born as an only child, he has a sister named Sebreena who is his elder sibling with whom he grew up in Bothell. He had his elementary education at Cedar Wood Elementary School and from there, he proceeded to John Robert Powers to study acting. He also attended the Patti Kalles workshops where he honed his skills in the acting. Karan Brar has featured in some advertorial commercials such as the Committee for Children, Seeds of Compassion and Shell Gasoline. The Redmond born actor sure has flair for languages, as he speaks about three languages inclusive of English, Indian Hindi and Punjab. He easy and going with a slender athletic build standing at a height of 5 feet (1.53m), a height he is sure to add more inches in years to come. Armed with the knowledge of what was expected of him, he kicked off his career by making his first film appearance in the Diary of a Wimpy Kid in 2010. Karan Brar had to undergo accent tutoring in order to deliver the role properly. He did act so well that he was made to reprise his roles as Chirag Gupta, in two more instalments of the television shows in 2011 and 2012 respectively. The storyline of the film was inspired by the book authored by Jeff Kinney and starred other actors like Rachael Harris, Zachary Gordon, Robert Capron. Karan Brar’s other films features include his voice role in Mr Peaboy and Sherman (2014), where he played Mason. He followed this role up with an American Science fiction film titled Pacific Rim: Uprising in 2018 and Stargirl based on the novel story of Jerry Spinelli in 2019. He later had his first major television series role in Jessie, an American comedy show which was originally scripted for a Latin American child actor but was redone to suit an Indian instead after Karan Brar’s impressive auditioning for the role. He assumed the character Ravi Ross in the show. From thereon, he made other appearances in Sofia the First as Prince Zandar in 2013, he made eleven episodes features in Pass The Plate (2013-2014), a short form multi-cultural show he also co-hosted. As though that was not enough he was still slotted as the main character Ravi Ross, in fifty-eight episodes in the Bunk’d which is a continuing story of Jessie aired on the Disney Channel from 2015 to 2018. Karan Brar later earned for himself a recurring role in the web series titled; Youth and Consequences, an American Comedy drama series in 2018. In his outing so far in the movie industry, his efforts and contributions have all been appreciated, with a few of his body of works nominated for awards. He has been nominated and won the Young Artist Awards. The young actor has featured in blockbuster movies that have grossed heavy income in the box office. 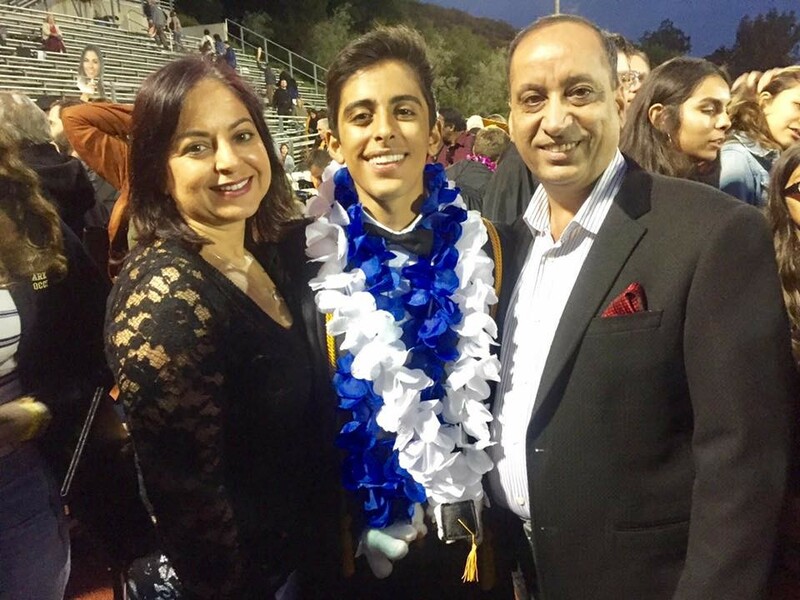 Although it’s still early in his career, Karan Brar is said to have already been in the millionaire’s club with his net worth estimated at not less than $1 million. The father of Karan, Harinder Brar hails from Delhi, in India but he relocated to the United States of America where he got married and groomed his own family. He was born in May 1964 in India and picked up a professional career in Real Estate. He was married to Jasbinder. Their union was blessed with two great kids – Karan and his sister Sabreena who is two years older than the is. Sabreena was born in November 1997 in Redmond, the US. Unlike her brother, she is quite athletic in nature and has participated actively in skating, dancing, gymnastics as well as ice skating. The two siblings sure have a large love for each other as they have been seen having fun in his Instagram pictures in exotic destination places around the world.